My latest post on the Jeffrey Sterling trial notes that the same guy who called Sterling’s performance “extremely sub-par” is also the guy who set up the NYPD’s program profiling Muslims. On Friday, former high ranking CIA officer David Cohen — who headed up the New York office while Sterling was there — described how he removed Sterling from the Merlin case because he didn’t believe Sterling was performing well at his job (an opinion neither his deputy, Charles Seidel, nor Bob S shared, at least according to their testimony). “His performance was extremely sub-par,” Cohen testified. Cohen also seemed to disdain what might be called political correctness, which if true may have exacerbated Sterling’s increasing sense of being discriminated against for being African American. That would be consistent with the action for which Cohen has received more press in recent years: setting up the New York Police Department’s intelligence program that profiles the area’s Muslim community. In the wake of 9/11, Cohen moved from the CIA to the NYPD. In 2002, he got a federal court to relax the Handschu guidelines, which had been set up in 1985 in response to NYPD’s targeting of people for their political speech. Handschu required specific evidence before using informants to investigate a group. But, as an article from the Pulitzer Prize winning AP series described it, “Cohen told a federal judge that those guidelines made it ‘virtually impossible’ to detect terrorist plots.” After getting the rules relaxed, Cohen created teams of informants that infiltrated mosques and had officers catalog Muslim-owned restaurants, shops, and even schools. “Cohen said he wanted the squad to ‘rake the coals, looking for hot spots,’” the AP reported in 2011. At almost precisely the same time as jury selection for Sterling’s case started, theThird Circuit Court of Appeals heard a challenge from those targeted under the program, who claim they had been discriminated against on the basis of their religion. While the agencies involved are different, it seems notable that the primary person to find fault with Sterling’s performance at the CIA — which Sterling claimed arose from problems with his race — is the same guy who started a program targeting Muslims across the New York City area. But that detail won’t be presented to jurors at all during the trial. Click through to see how the Russian involved in the operation invoked Valerie Plame to describe his concern about his name leaking, just weeks before it started to become clear that Vice President Cheney probably ordered that leak. I’m used to fearmongering out of NYC and especially out of the NY Post. But this article is remarkable. Instead, three journalists repeated apparently verbatim a bunch of bitching from cops without exhibiting an ounce of skepticism. Here’s how it described the NYPD’s concern that there will be protests in the wake of the Eric Garner verdict. Tech-savvy anarchists ran rings around the NYPD during last week’s Ferguson-related protests — and cops are now on edge over what the renegades may be able to pull off after a ruling in the Eric Garner case. “Anarchist … renegade,” the Post describes people peacefully availing their First Amendment rights. Last week, activists armed with untraceable “burner phones” used social media and online bulletin boards to stay one step ahead of city cops and create mayhem after a grand jury cleared Officer Darren Wilson in the fatal shooting of Michael Brown in Ferguson, Missouri. The sources at least suggest they’re tracking the communications, if not wiretapping, protestors. That is, they’re using some electronic means to track protestors; they’re not doing it all manually. Nevertheless, the NYPD is just helpless in the face of high tech like … WiFi. A “technology gap” also favors the activists, many of whom have the newest electronic gear, sources said. “A lot of these anarchists are from the Occupy Wall Street group. They are little rich kids, little techie brats,’’ a source said. “They have their little MacBook Air computers, their Wi-Fi, their smartphones, and they’re off to the races. We’re reacting to these situations, which means we are not fully in control of them,” the source said. I mean, if the protestors did have smart phones, it’s highly unlikely they’re using burner phones, as the two are fairly incompatible in terms of security and cost considerations. But seriously. The cops want us to believe that human beings organizing with smart phones exceeds the tech they have available to them? If I were a NYC taxpayer, I’d call for the CT squad to be shut down right away. Partly because of the insubordination in the face of people peacefully protesting. But just as significantly, because of this claimed helplessness in the face of a far easier target than they’re ostensibly paid to pursue. The AP correctly captures the jist of Judge William Martini’s rejection of a lawsuit against the NYPD for spying on Muslims. The core of his logic is that Adam Goldman and Matt Apuzzo have injured NYC’s Muslim community by providing them proof of the spying targeted at them. But it doesn’t expose the other part of his shoddy logic clearly enough. Martini said all this spying was cool because it was designed to find Muslim terrorists hiding among Muslims. The police could not have monitored New Jersey for Muslim terrorist activities without monitoring the Muslim community itself. While this surveillance Program may have had adverse effects upon the Muslim community after the Associated Press published its articles; the motive for the Program was not solely to discriminate against Muslims, but rather to find Muslim terrorists hiding among ordinary, law – abiding Muslims. As I emphasized here, when it was first reported, NYPD wasn’t hunting for Muslim terrorists in places where the 9/11 terrorists were known to hang out — cheap hotels, gyms, cybercafes, and a bunch of other businesses catering to anonymity rather than Muslims. Rather, the NYPD was hunting terrorists in schools in Newark, including the one above teaching girls in fifth to twelfth grade, and another teaching first through fourth graders. The NYPD was hunting terrorists in a girls school. And Judge William Martini thinks that makes a whole bunch of sense. There’s a lot I might quibble with in this paragraph. The government considered the anti-war effort part of Communism’s “attack” on the “free world,” whether or not that was true, in the same way it sometimes considers many critics of US policy in the Middle East — if they are themselves Muslim — to be inspired by al Qaeda, not opposition to crappy US policy. And the NSA has itself analogized its targeting of certain people in the US as terrorists with Project Minaret, the SIGINT targeting of largely anti-war activists; if the NSA makes this comparison, who are we to question it? Further, there’s evidence (albeit still very sketchy) that NSA targeted people associated with the Iraq War, not just terrorism. But I’m particularly concerned by Talbot’s claim that none of this dragnet entails infiltration. The government itself told the FISA Court that it uses the phone dragnet to find potential informants — it is, according to the representations the government has made to get the FISC to approve the program, one of the primary purposes of the dragnet. From the very start of the FISC-approved program, the government maintained the dragnet “may help to discover individuals willing to become FBI assets,” and given that the government repeated that claim 3 years later, it does seem to have been used to find informants. When you unpack the possibilities of using metadata including the phone records of all Americans to find people who might narc on their community, it becomes very scary indeed. Because the dragnet would allow the government to discover details about people — their 3 degrees of separation from people suspected of terrorist ties, sure, but also extramarital affairs or financial problems — they can use to harass or blackmail potential informants with to convince them to inform, something they’ve suggested they do with their SIGINT. One of the only reasons why we don’t know more about this is because we’re seeing just the NSA side of these programs. The government is thoroughly redacting any details about what FBI or CIA do with the data that gets churned out of the dragnet (all while boasting of its transparency), so we can’t yet explain what happens between the time the data gets crunched and some kid gets caught in a sting or some American loses her right to fly. But we do know what the end product of infiltrating the Muslim community looks like, both in the way FBI informants push young men until they press a button they can be arrested for, the descriptions of the extensive spying FBI’s (and NYPD’s) informants conduct, largely targeted at mosques, and in the effect it has had on the discourse that takes place within those mosques. 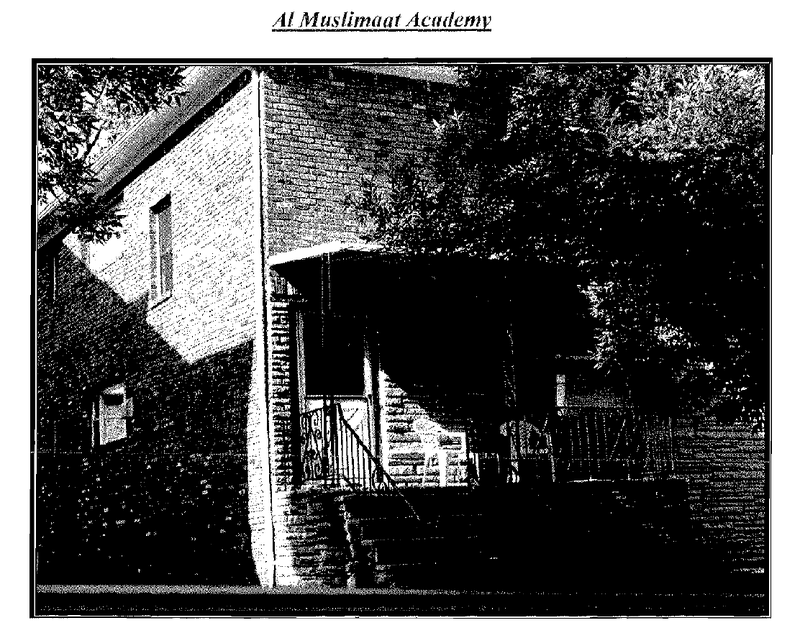 African-Americans in the heart of Michigan’s auto industry built the mosque I attended as a child. Our African-American imam took turns with others to deliver the Friday khutba (sermon). We witnessed oral traditions accented from around the globe and across the road: the khateebs(deliverers of sermons) were lyrical and inspired, awkward and soft-spoken; the congregants received the khutba differently too, from active talk back to a silent receptive posture. While varied in style, the khutba routinely offered global context and critical content. The khateebs would remind us of the poverty in Detroit’s neighborhoods and the death in Baghdad’s streets. They would preach about the importance of the Muslim ummah (global community) and the duty to speak out against injustices small and large. The khateeb would regularly call for civic engagement as he also reached for religious inspiration. These days, when I stop in a mosque, I am struck by the new normal: no politics, no world, no nimble movement between religious ethics and social context. Today’s khutbas present the congregation religious teachings in a void. Khateebs speak of the importance of honesty, forgiveness, humility and remembrance. They ignore Iraq and Afghanistan, Guantánamo and drones, informants and surveillance. They tell stories about Muhammad, Abraham, Moses, Mary and Jesus but leave out the universal themes of poverty, inequality and injustice. 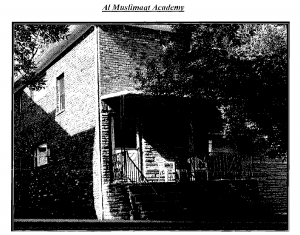 From mosques to Muslim Student Association offices, American Muslim community spaces have been emptied of their politics, leeched of their dynamism as centers for religious and political debate. This new normal is the result of ten years of post-9/11 scrutiny combined with our government’s more recent embrace of “counter-radicalization” and “countering violent extremism” programs, which subject Muslim communities’ religious and political practices to aggressive surveillance, regulation and criminalization. It’s easy, I think, for elite non-Muslim commentators to consider the infiltration of a political tradition they or their associates had personal involvement in, the anti-war movement, to be worse than the infiltration of mosques. I’m not sure they’re in a position to judge. But at least from what I’ve seen and heard, the infiltration of America’s Muslim communities seems designed to “enhance the paranoia endemic in these circles and will further serve to get the point across there is an FBI agent behind every mailbox,” just as the FBI’s efforts targeting the anti-war and African-American communities aimed to do. The NSA has told us the dragnet involves infiltration. That the NSA hands off the data it collects so the FBI can carry out the infiltration should not confuse us that it does, in fact, play a role in infiltrating communities and sowing paranoia. Where Were These Dems Asking about CIA-on-the-Hudson During Brennan’s Confirmation? I have always been a huge fan of what Thomas Perez has done in DOJ’s Civil Rights Division. But this sentence, from Adam Serwer’s query on what happened to DOJ’s review of the CIA-on-the-Hudson, ought to give pause. Since taking office, the special litigation section of the civil rights division has investigated more local police departments for unconstitutional policing than ever before, but never on behalf of American Muslims profiled by law enforcement. But the rest of Serwer’s piece barely touches a big missed opportunity — and, potentially, an explanation for why DOJ has slow-walked its investigation of the profiling of Muslims in NYC. Serwer notes that Brennan complimented the program, in contrast to Eric Holder’s stated concerns about it. Although Holder referred to the reports of the NYPD’s actions as “disturbing,” that’s not the view of everyone in the Obama administration. CIA Director John Brennan, formerly a top White House counterterrorism adviser, praised the NYPD’s surveillance program in April 2012. “I have full confidence that the NYPD is doing things consistent with the law, and it’s something that again has been responsible for keeping this city safe over the past decade,” Brennan said. Brennan is not just the former White House counterterrorism [and homeland security] czar, but he’s also the guy who, when CIA-on-the-Hudson was being set up in the days after 9/11, was in charge of logistics and personnel at the CIA. Which means there’s a pretty decent chance he had a role in dual-hatting the CIA guy who operated domestically to help NYPD spy on Americans. But Brennan’s role in finding a way to use CIA tactics domestically barely came up in his confirmation hearings. As I noted, he was asked whether he knew about the program (and acknowledged knowing about it), but he was not asked — at least not in any of the public materials — whether he had a role in setting it up. Sort of a key question for the guy now in charge of the entire CIA, whether he thinks the CIA should find loopholes to get around prohibitions on CIA working domestically, don’t you think? Serwer names several House Democrats — Rush Holt, Mike Honda, Judy Chu — who have been asking about this investigation. Obviously, they didn’t get a vote on Brennan’s nomination. But it seems the nomination period would have been a very good time to ask questions about how and why, at a time when Brennan played a key role in logistics and personnel at the agency, the government decided to set up this workaround. Asking at that time might have clarified why it is that the Administration seems uninterested in investigating this program. As it is, we’re now left with a guy who publicly applauded such work-arounds — and CIA involvement through cooperation in fusion centers — in charge of the entire CIA. https://www.emptywheel.net/wp-content/uploads/2016/07/Logo-Web.png 0 0 emptywheel https://www.emptywheel.net/wp-content/uploads/2016/07/Logo-Web.png emptywheel2013-04-04 07:55:362013-04-04 07:55:36Where Were These Dems Asking about CIA-on-the-Hudson During Brennan's Confirmation? This story — about how Occupy Wall Street protestor Michael Premo beat an assaulting an officer charge when his lawyers found video evidence to disprove the NYPD’s claims — might make you believe in justice. Except for this. Premo’s lawyers first went to the cops for video, knowing they had tons of officers deployed with cameras during the protests. They found the cop who had relevant video. And … he apparently lied in court about whether he had that video. Prosecutors told them that police TARU units, who filmed virtually every moment of Occupy street protests, didn’t have any footage of the entire incident. But [Premo’s lawyer Meghan] Maurus knew from video evidence she had received while representing another defendant arrested that day that there was at least one TARU officer with relevant footage. Reviewing video shot by a citizen-journalist livestreamer during Premo’s arrest, she learned that a Democracy Nowcameraman was right in the middle of the fray, and when she tracked him down, he showed her a video that so perfectly suited her needs it brought a tear to her eye. For one thing, the video prominently shows a TARU cop named Bosco, holding up his camera, which is on, and pointing at the action around the kettle. When Premo’s lawyers subpoenaed Bosco, they were told he was on a secret mission at “an undisclosed location,” and couldn’t respond to the subpoena. Judge Robert Mandelbaum didn’t accept that, and Bosco ultimately had to testify [Correction: Bosco didn’t take the stand; he had to appear at the District Attorney’s office for a meeting with Maurus and prosecutors. Judge Mandelbaum accepted that Bosco would likely say on the stand what he said in the meeting, and didn’t require him to testify.] Bosco claimed, straining credibility, that though the camera is clearly on and he can be seen in the video pointing it as though to frame a shot, he didn’t actually shoot any video that evening. Bosco almost certainly lied. The NYPD clearly lied, repeatedly. And yet there’s no hint they’ll be charged with obstructing justice. While you’re reflecting on that, remember what the cops were doing (funded, in part, by JP Morgan Chase $4.6 million donation to the NYPD Foundation). They were making sure that a bunch of hippies could not continue to engage in a highly visible challenge to bank power, and certainly not in the banks’ turf around Wall Street. Sure, OWS did not present as significant a financial threat as preventing banks from foreclosing on homes they did not hold the proper paperwork on — the threat that robosigners lied under oath to combat. But they did present an ideological threat to the banks. And here we are, again finding people — cops! — lying in court to protect the banks. And here we are, once again, finding those liars go unpunished. I’m sure I could grill John Brennan for hours. But after a lot of thought, here are the five questions I believe most important that should be asked of him Today. 1) Do you plan to continue lying to Americans? In addition, in a speech purportedly offering transparency on the drone program, you falsely suggested we know the identities of all people targeted by drones. Why did you choose to misrepresent the kind of intelligence we use in some strikes? 2) What was the intelligence supporting the first attempt to kill Anwar al-Awlaki? 3) Will your close friendships with Saudis cloud your focus on the US interest? You opposed signature strikes in the country. You nevertheless approved signature strikes in Yemen because of personal entreaties from people you know from when you were stationed on the Arabian peninsula in the 1990s. In addition, recent reports have confirmed that the drone strike that killed Anwar al-Awlaki was launched from Saudi territory. Were the personal entreaties you responded to from Yemenis or Saudis (or both)? What role did the Saudis have in the Awlaki strike? Did they have an operational role? As someone with such close ties to liaison sources, how have you and will you manage to prioritize the interests of the United States over the interests of friends you have from two decades ago? 4) What role did you have in Bush’s illegal wiretap program? The joint Inspector General report on the illegal wiretap program reported that entities you directed — the Terrorist Threat Integration Center in 2003 and 2004, and the National Counterterrorism Center in 2004 and 2005 — conducted the threat assessments for the program. 5) Did you help CIA bypass prohibitions on spying domestically with the NYPD intelligence (and other) programs? In your additional prehearing questions, you admit to knowing about CIA’s role in setting up an intelligence program that profiled Muslims in New York City. What was your role in setting up the program? As someone with key oversight over personnel matters at the time, did you arrange Larry Sanchez’ temporary duty at the NYPD or CIA training for NYPD detectives? Update: I realized that I have left out a caveat in Brennan’s drone lies — he was talking in the previous year. I’ve fixed that. There’s one question I haven’t seen anyone ask but which seems utterly critical to John Brennan’s fitness to be CIA Director. Back when the AP was first exposing how the CIA set up a spying program for the NYPD, they asked John Brennan about it. He professed to be “intimately familiar” with the program. President Barack Obama’s homeland security adviser, John Brennan, who was the deputy executive director the CIA when the NYPD intelligence programs began, said he was intimately familiar with the CIA-NYPD partnership. He said that agency knew what the rules were and did not cross any lines. As the program got more attention last year, Brennan even went to NYC to personally give the domestic spying program his seal of approval. The White House added its stamp of approval a month later when President Obama’s top counterterrorism adviser John Brennan visited police headquarters. “I have full confidence that the NYPD is doing things consistent with the law, and it’s something that again has been responsible for keeping this city safe over the past decade,” he said. Remember, this program is offensive not just because it spies on so many Americans and in such incompetent fashion. It’s offensive because it involved the CIA in training NY Police Officers in CIA spy techniques. https://www.emptywheel.net/wp-content/uploads/2016/07/Logo-Web.png 0 0 emptywheel https://www.emptywheel.net/wp-content/uploads/2016/07/Logo-Web.png emptywheel2013-01-11 15:32:232013-01-11 15:41:58Did John Brennan Create the Loopholes CIA Used to Help Spy on New Yorkers? Will the NYPD Be Spying on Muslims to Learn What They Think of These Administrative Punishments? The AP reports that 6 soldiers and 3 Marines responsible for burning Qurans in Afghanistan and for urinating on a corpse, respectively, will receive Administrative punishment (the punishments for other Marines involved in the urination incident have yet to be announced). If NYC’s Muslims plan to talk about the adequacy of Administrative punishment for the defilement of a corpse, they should be aware that the NYPD finds such conversations legitimate topics for spying. As Adam Serwer noted last week, one of the things (incompetently) redacted in the transcript of NYPD Intelligence Chief Thomas Galati’s deposition was that officers were recording Muslims’ reaction to the treatment of a New Jersey Transit worker who had burned a Quran. As I noted, the NYPD justified recording such conversations because–Galati claimed–they indicated where terrorists might be comfortable. So it’s probably safe to assume that NYPD’s spooks will head out to cafes in Pakistani neighborhoods so they can eavesdrop on the response to this punishment. https://www.emptywheel.net/wp-content/uploads/2016/07/Logo-Web.png 0 0 emptywheel https://www.emptywheel.net/wp-content/uploads/2016/07/Logo-Web.png emptywheel2012-08-27 13:27:332012-08-27 13:27:33Will the NYPD Be Spying on Muslims to Learn What They Think of These Administrative Punishments? It’s bad enough that the NYPD continues its Muslim spying program in spite of their Intelligence Division Chief’s admission that they have not derived a single lead from it. But look more closely at the astoundingly stupid rationalizations that Thomas Galati gave in his deposition for the program. Galati imagines that if NYPD were ever faced with an imminent terrorist threat, the demographic mapping they had already done would allow them to figure out right away where the terrorist might go. When we are faced with a threat or we have information about a threat that is present and we need to go out and we need to try and mitigate that threat, we have to be able to, at our fingertips, find what is the most likely location that that terrorist is going to go to and hide out amongst other people from the same country. Let’s consider how this worked in practice the single time it might have applied. When the FBI alerted the NYPD that Najibullah Zazi was heading back to NYC with the intent to blow up some subways, the NYPD knew exactly who to go to. They called Zazi’s Imam, Ahmad Wais Afzali, who not only knew him but had taught him and some of his accomplices. So that part worked. What didn’t work is that Afzali promptly tipped off Zazi and his father, making it more difficult to develop a case against Zazi’s accomplices. Media reports quoting anonymous FBI officials have suggested the NYPD botched the case when it showed a picture of Najibullah Zazi, the Denver shuttle-bus driver at the heart of the investigation, to Ahmed Afzali, a Queens Imam and sometime police informant. Afzali, the reports say, first called Zazi’s father Mohammed, then Najibullah himself, alerting them to the probe. The FBI, which had been monitoring the calls, was then forced to move immediately to arrest the Zazis — much sooner than it had planned. So far Galati’s logic works if you want to make sure terrorists are tipped off by their close associates. Central to the Galati’s explanation for the NYPD’s retention of the content of conversations about events–such as a Quran-burning, in the passage below (or, presumably, opposition to a drone strike)–is that it provides insight into whether a terrorist would be “comfortable in” a particularly environment. Q I think you’ve told me that the fact that at this particular location where there are Pakistanis speaking Urdu, the Zone Assessment Unit heard two men complaining about the [redacted-Quran burning] That fact alone, their complaint expressed to each other doesn’t make it more likely that this is a place where a terrorist would go? A It doesn’t make it more likely or less likely. It’s a tool for us to look for that person that we’re looking for that has that same characteristic that’s going to hide or recruit within a place that he or she is comfortable in.